“It is little wonder then that the cities of Gor support and welcome the fairs. 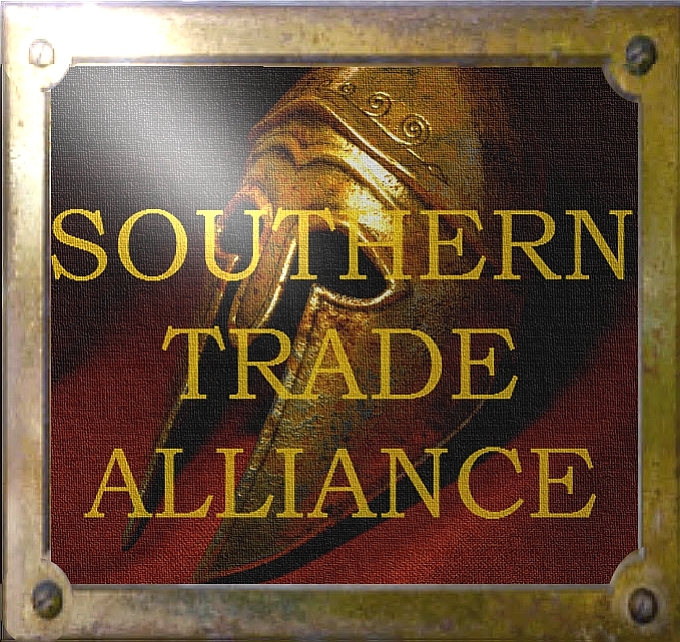 Sometimes they provide a common ground on which territorial and commercial disputes may be amicably resolved without loss of honor, plenipotentiaries of warring cities having apparently met by accident among the silken pavilions. 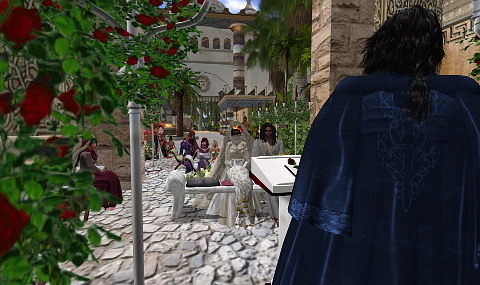 [14:16] Sherman Easterwood: Rarius Yuroki, please honor Sabina with your vows. [14:16] Rarius Yuroki (Yuroki Uriza): I, Rarius Yuroki, claim you, Sabina, as my Free Companion. I vow to love, honor and protect you for as long as we both shall live. I have waited long for someone like you. When all was dark you came into my life and the sunshine returned. My love for you grows stronger with each day. As we take these first steps together, I see one set of footprints in the sand where there once was two. We are one, now and forever. My love for you, Sabina, will never die. [14:18] Sabina (Tremlays Resident) clears also her throat and answers: I accept this purple rose in the spirit of that union and promise to honor your caste as I know you will honor mine. 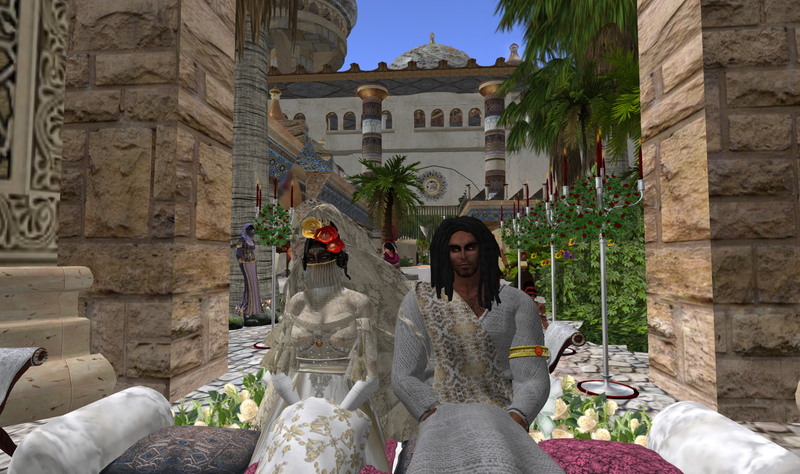 [14:18] Sherman Easterwood: Sabina, now please honor Rarius Yuroki with your vows. [14:19] Sabina (Tremlays Resident): Just as I was about to resign myself to never knowing the joys of companionship, you came back into my life with just one tiny chance meeting. I vow from this day forward that I will honor your name, house, and being as your free companion. I promise to be always honest yet respectful with you. While I regret all those lost hours that we could have gotten to know each other in the past, I believe fate has given us another chance and I vow to never make following our hearts a regretable decision. I love you Rarius Yuroki and as we take these beginning steps in our combined paths, it is my solemn vow to take each step with you whenever I am permitted to. [14:19] Sherman Easterwood: And now we will seal you union and your legal bond with the drinking of wine. [14:23] Sabina (Tremlays Resident) smile graces her red lips as she carefully gathers the length of silks to stand up, smoothing them down, making them presentable. [14:24] Sabina (Tremlays Resident) turns on her heels with a gentle shift towards the golden chalice and bottle of kalana on the table. [14:25] Sabina (Tremlays Resident) hands take the bottle with ease, peeling away the wax seal, prying the cork, and letting it release from the bottle without stress. [14:25] Sabina (Tremlays Resident) tilts the chalice slightly as she begins to pour the Ka-la-na, the rich delicate ruby wine, with its fragrant bouquet permeating the area. [14:25] Sabina (Tremlays Resident) twists the bottle so as to not let the last drop fall, settling the bottle back to its rightful place on the table. [14:26] Sabina (Tremlays Resident) turns with the chalice held in a gentle grip and stands with the beautiful vessel supported with both hands. [14:29] Sherman Easterwood: You each have a copy of your legal contract, and agree to the terms within it? [14:30] Sherman Easterwood: Raise your bond hands once more. [14:31] Sabina (Tremlays Resident) takes the quill, dips it in the blood wincing lightly and slowly signs her scrawling mark on each copy. She hands the quill to Rarius Yuroki. 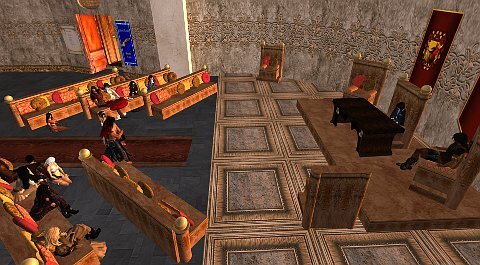 [14:33] Sherman Easterwood: Let no one come between these two, who are now as one, in the eyes of the Priest Kings and the laws of Gor. If you harm or dishonor one, you harm or dishonor both. [14:33] Sherman Easterwood: Rarius Yuroki and Sabina, may your union be blessed and happy. I wish you peace, joy and bountiful love. 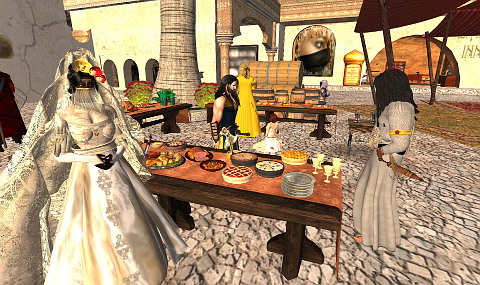 [14:34] Sherman Easterwood: I present to you the Free Companions, Rarius Yuroki and Lady Sabina! Read more: Story of Gor, in memoriam of Inna. [13:07] Em (marisah.sveiss) gives the crowd a meaningful look, her gaze travelling from one face to another. Clearly it was time to start, and utter silence was demanded. 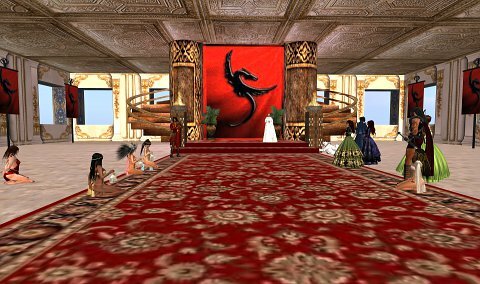 [13:11] Ręna (oxrebelxo) had spent all afternoon preparing the body for the ceremony. Finally now, as the attendants of other tribes would start to arrive in their camp she would let the rep cloth sink into the water bowl, her orbs lifting to scan the faces before pulling the white blanket back over her beloved sister’s face to shield her from their glances. [13:11] Rosebud (rosenwood) carefully straightened the blanket over the body, tugging it neatly in underneath. When the body was prepared, she gave her sisters a meaningful nod, letting them know that it was time, then stepped forward to take the first handle into her grip before lifting it upwards and onto her shoulder. [13:12] Zephyr (isolde.bethune) could feel an intense weight growing on her shoulders by the Ihn, and the nod made a shiver run down her spine. She knew well what it meant, and without hesitation she moved forward to pick up the wooden handle of the spear. [13:14] Ręna (oxrebelxo) rose to her feet and cleaned her hands of the oils and salves that they had used for the preparation of a cloth before she too, with heavy steps, walked around the altar to get a good grip on the fourth and final handle of the stretcher, her gaze fixed in their destination. [13:14] Heather Ulich had hovered behind Rena, watching the preparations unfold closely, until being swallowed by a dreadful silence, only to be captured by the thoughts and memories of her dear sister who had consulted her for more summers than she could ever count, becoming an important member of the leadership. Everything seemed vain after the sudden passing which they had not expected in the least, and thus tore them apart even more. But there was no time to dwell now, and her orbs focused from the abstract space back into reality, starting to move forward and lead the sisters towards the pond. [13:15] Rosebud (rosenwood) began to move forward, taking slow, calculated steps. She lifted her chin proudly, displaying the relentless sorrow on her flattened face, as they walked towards their departed sister’s favorite pond—the one that she had saved so many times from us trying to dry it for more land. [13:17] Peeps (chastity.suppenkraut) was guided by her sisters who carried the three other sides of the stretcher, distributing the weight of the body and the sadness equally. They would step over the edge, finding themselves covered to the ankles in pond water before finally reaching the carefully prepared stone altar. [13:19] Em (marisah.sveiss) had followed the carriers to the pond like the rest of her younger sisters. In her grasp, she held two little clay bowls filled with thick, translucent liquids, followed by that of a perfumed scent; the clear liquid inside being scented oils. While the body was steadied onto the altar, she circled around the stone’s form before abruptly coming to a halt in front of it. [13:20] Varisya held a flaming torch high, the heat of an incessant flame radiating against her flesh as she guided more of her torch-holding sisters to the altar. When they arrived to the pond, they also circled around the stone fixture, only to come to a complete halt. Waiting in silence, all of their bodies tensed-up considerably. [13:21] Heather Ulich espied the contours of her missed sister’s face, the features hinted underneath the fabric was something her eyes would dare not waver from. 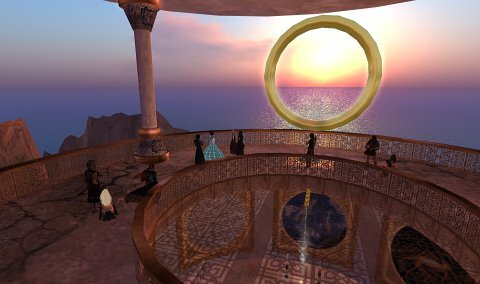 She waited in silence, as all of her sisters rounded the circle to join her, and for the red-wood bow and dirt which would be placed upon In-na’s body. The presence of traveled guests’ behind her could be felt, but she kept her orbs fixated on the pyre as she swallowed thickly, before nodding to both her cubs and young sisters. [13:22] Casey Larwyck joined in, each of the young sisters would cover the body on the altar with droplets of the scented oil, leaving circular stains on the white fabric. Their gazes met, and they put the twig-bundle back into the bowls, and carefully withdrew, lining up with the other sisters in the circle once again. [13:25] Heather Ulich shouts: She was my Rock. [13:27] Heather Ulich shouts: Sisters leaving, camp moves, tribe splitting ….people causing drama cause they had nothing better to do. She shielded me through a lot of this, she knew how hard being a leader was so she took the hits for me ..she dealt with the drama for me, without her ..I wouldn’t be here. [13:29] Heather Ulich shouts: She kept me going, she encouraged me and it was her strength that I used to get through … she was always there. [13:29] Heather Ulich shouts: She was logical ..she did not automatically take sides ..friendship was very important to her ..but getting to the truth ..getting to the core of the issue and being fair ..that showed her true character. It didn’t matter if you were a long time friend or a stranger …she believed everyone deserved to be treated fairly. [13:30] Heather Ulich shouts: It was this selfless attitude ..the ability to see the big picture …to work for a common goal …to inspire people to work together …..all while asking nothing in return …that is what made her so special. [13:31] Heather Ulich shouts: She was not perfect ..she’d get mad …she’d yell …she could be rude …but in the end ..if she was wrong ..she was a big enough person to admit it …to apologize and own up to her mistakes. [13:31] Heather Ulich shouts: There was just something about her …she didn’t try to make friends …she was not fake ..not overly nice to get people to like her ..she was honest ..in an almost brutal and somewhat insulting way …she would tell you exactly what she was thinking …and through all of that you just couldn’t help but love and admire her. [13:33] Heather Ulich shouts: All I know ..is you knew this day was coming and you asked me to be strong …and for you I will. [13:36] Heather Ulich shouts: Dance in Peace my Anni, for one day we will fight by each others side again. [13:37] Varisya ’s posture had changed dramatically, her shoulders rounded downward and her face flattened. The words spoken in the eulogy caused ripples of goosebumps to appear all over her flesh and her eyes to fill with salty tears that blurred her vision significantly. However, when it was her turn, she would step forward, attempting to jut her chin upright, while tenaciously holding on the handle supporting the torches’ flame. She could barely watch as the flame, caused by the fire-arrow, began to quickly lick across the body’s frame. [13:38] Cherry Toast (cherrytoast) followed the call without hesitation, as if it was expected from her. Strangely enough, she was completely torn inside between fits of sadness and the thrill of wanting to pay In-na the one last tribute that she deserved—she earned it. With one simple glance to her En and sisters, she then lowered the torch toward the wood surrounding the pyre and watched as the fire ignited the dry branches and logs into an inferno of flames. [13:39] bambi (bambipage.paine) shouts: she proudly moved forward and brought the burning embers to the sizzling branch and twigs without further ceremony. [13:39] bambi (bambipage.paine) shouts: All of the burning wood would soon intermingle, transforming into nothing other than a wild path of fire. [13:39] Nzuri (blonkoonyx) shouts: completed the circle of light with her torch, inhaling sharply, as the fire violently reflected off of the shallow waters of the pond with a continuous vehemence. [13:39] Heather Ulich could barely watch as the barbarous flames swallowed the shell that once encased In-na’s soul and spirit. Tears fell from her eyes, tumbling down her cheeks, but her expression remained even. 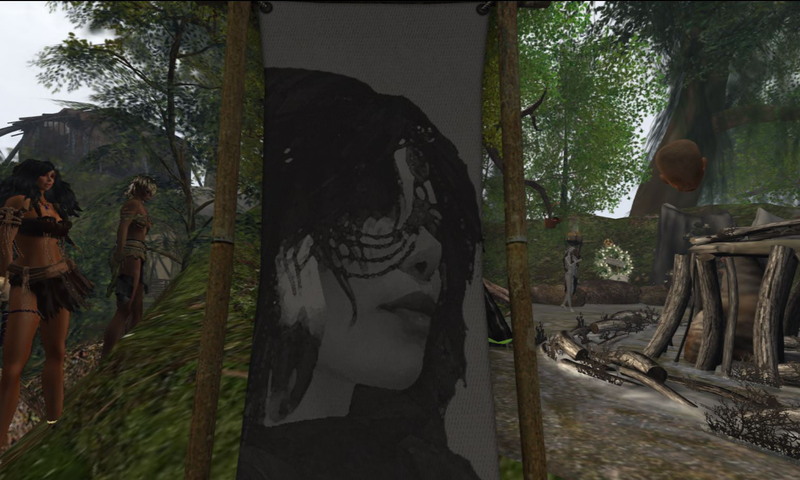 Her chin dipped low and she closed her eyes for a moment, in an ihn of utter silence, to reminisce upon the memories and moments shared with her sister, and Shaman, who she would never allow to be forgotten. “The moons are now risen,” said another panther girl, edging closer to Verna. She was looking at me. “Let it begin,” said another girl. I looked up at her in horror. I pulled at the thongs. I fought, but two girls held my head, and Mira, laughing, with a small bowl of lather and a shaving knife, shaved the two-and-one-half-inch degradation strip on my head, from the forehead to the back of my neck. I pulled helplessly at the thongs. “What are you going to do with me and my men?” I demanded. “Bring a whip,” said Verna. Mira leaped to her feet. 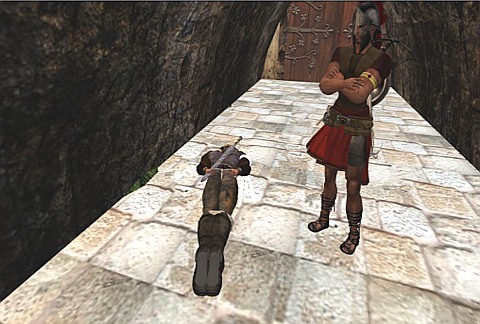 Mira returned with the whip, a five-strap Gorean slave whip. She beat me. My body, in the thongs, twisted and leaped under the lash. “It is enough,” said Verna. Mira laughed, and folded the lash. It had been a brief beating, lasting only a few seconds. She had been permitted to strike me only some eight or nine times. I was breathing heavily, in pain. They had not wished to injure me. Verna had only wished to administer a sharp, not-too-soon-to-be-forgotten, lesson to her slave. The girls now knelt about me, in a circle. They were silent. I looked up at the large, white, swift moons. There were three of them, a larger and two smaller, looming, dominating. The girls were breathing heavily. They had set aside their weapons. They knelt, their hands on their thighs, occasionally lifting their eyes to the moons. Their eyes began to blaze. They put back their heads. Their lips parted. Their hair fell behind their heads, their faces lifted to the rays of the moons. Then, together, they began to moan and sway from side to side. Then they lifted their arms and hands to the moons, still swaying from side to side, moaning. I pulled at the thongs that bound me. Then their moaning became more intense and the swaying swifter and more savage, and, crying out and whimpering, they began to claw at the moons. Mira leaped to her feet and tore her skins to the waist, exposing her breasts to the wild light of the flooding moons. She shrieked and tore at the moons with her fingernails. In an instant, another girl, and then another, and another had followed her example. Only Verna still knelt, her hands on her thighs, looking at the moons. Beneath the moons, helplessly, I sought to free myself. I could not do so. Mira now, the others following, crying out, tore away the scraps of panther skin that had yet concealed their beauty. They now wore only their gold, and their ornaments. Now, moaning, crying out, the she-beasts of the forest, the panther girls, hands lifted, clawing, began to stamp and dance beneath the fierce brightness of the wild moons. Then suddenly, they stopped, but stood, still, their hands lifted to the moons. Verna threw back her head, her fists clenched on her thighs, and cried out, a wild scream, as though in agony. She leaped to her feet and, looking at me, tore away her skins. My blood leaped before her beauty. But she had turned away and, naked, her head back, had lifted her hands, too, clawing at the moons. Then all of them, together, turned slowly to face me. They were breathing heavily. Their hair was disheveled, their eyes wild. I lay before them, helpless. Suddenly, as one, they seized up their light spears, and, swaying, spears lifted, began to circle me. [15:07] Dorian Trevellion: Gracious Priest Kings who rule the universe. I ask your blessings on this joyous occasion, Help them to perform this task, drawing on your energy and strength. May the time be favorable and may fortune assist them. Behold, may you protect this fair City, and Island, LANDA *and* its Administrator, and rightful Government, may you keep them prosperous and safe; for they are your servants and their love is with you forever. All goodly and healthful things I wish you!. Throughout your whole life long! [15:07] Dorian Trevellion: Ta Sardar Gor! [15:12] Lilith Lindley: My Master, Masters and Mistresses, slaves of Landa and last but not least my beloved chain sisters she says her voice trembling a little bit. [15:13] Lilith Lindley: I am here to say thank you to our Master we love and adore. 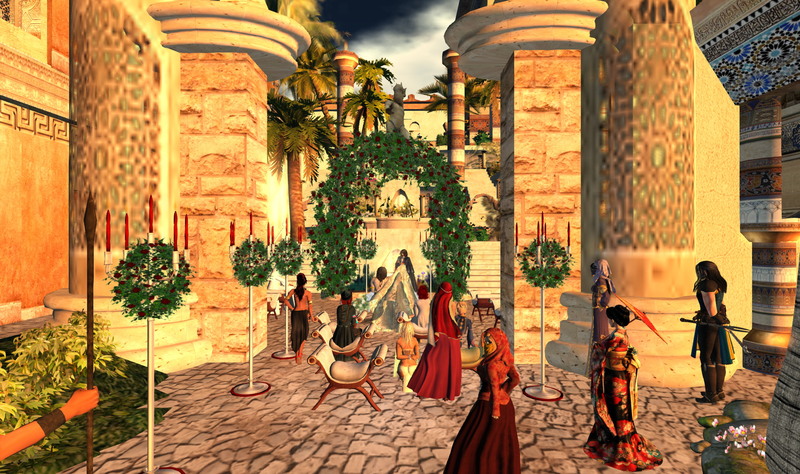 [15:14] Lilith Lindley: how many time and engagement it would need to be the Administrator of his city. [15:14] Dorian Trevellion smiles, looking at Yuroki. 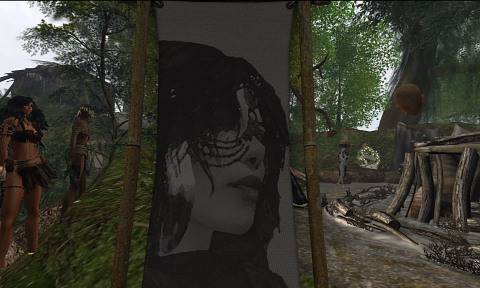 [15:14] Lilith Lindley: and tries to be with us as much time as possible. [15:15] Lilith Lindley: And there is always time for a joke and laughter too. [15:16] Lilith Lindley: your guidance love and kindness are an inspriation to all. [15:16] Lilith Lindley: You will always be in our hearts. You see and respect them. The springtime edge of the bleak question. [15:21] Esme22 Resident: May you Yuroki Uriza, our beloved Landa Administrator be the righteous example that shines and guide us through our days in serving and caring for Landa. [16:17] Yuroki Uriza: Today is the day we have waited for. The first day of En’kara, is upon us. [16:22] Yuroki Uriza: To bring light to this our home our boats. [16:23] Yuroki Uriza shouts: I your sometimes grumpy administrator command you to burn the brack on the open fire, the paga is free, the food is free, today we celebrate our first year and new year. [16:24] Retief Elkhart: Ta Sardar Landa! [16:25] Yuroki Uriza: Ta Sardar landa!